Still image from David F. Holocaust testimony, September 21, 2012. SynopsisDavid F. was born in Siedlce, Poland on April 2, 1926. He describes his parents, extended family, and family life. He describes life before the war and his experience of antisemitism. He recalls the German invasion, escaping into the countryside, and hiding. David’s father and brother returned home and were on a Russian transport out of the city. David, his mother, and his sister also escaped through Poland to Brest, Belarus to meet his father. He describes his family’s experience living in Brest for nearly a year. He recalls his arrest along with his sister and father and their transport to a labour camp. David describes how a commandant arranged for him to leave the camp for an orphanage where he could attend school. He recalls conditions in the orphanage and his experiences there. David recalls his father’s illness, hospitalization, and death. He went to trade school and received permission to join a transport to Krasnodar, Russia. David describes his experience working and living on a farm outside the city. He recalls returning to Poland and describes his experience on a kibbutz. He speaks about increased fear about returning home after learning of the Kielce Pogrom. He recalls living on a kibbutz in Bergen-Belsen and attending school. He describes his experience returning to Germany and visiting concentration camps so soon after the war. David describes registering for work as a labourer and being selected to come to Canada. 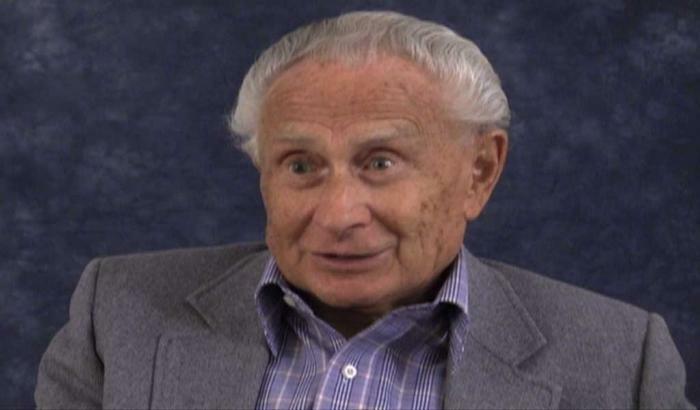 He recalls meeting his wife, who is also a Holocaust survivor, and their children. He discusses the loss of his family, his faith, and his survival. He describes his experience speaking to schoolchildren and sharing his story. David shows photographs of his family.